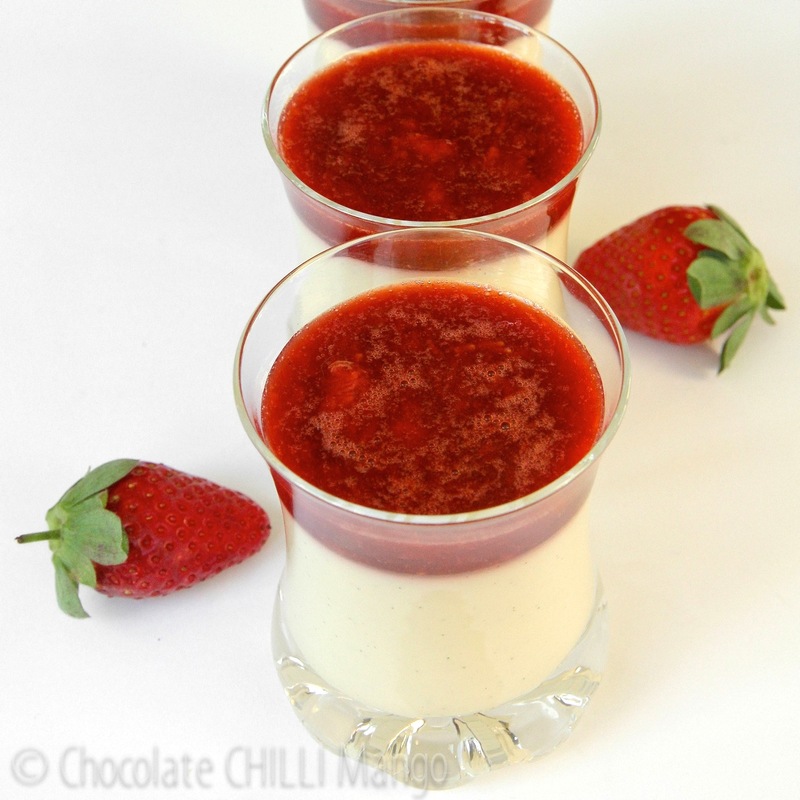 Strawberries ‘n’ Cream Panna Cotta … tennis anyone? We are very blessed in Australia to have access to wonderful fresh strawberries all year round with different growing regions having different seasons throughout the year. Right now, Queensland strawberries have started to appear and are sweet and juicy. I’m a big fan of vincotto and the black fig vincotto is so unctuous and sweet and mellow, it was just begging to join the party. It’s fantastic drizzled over the berries but there will be no drizzle action here because I’m not tempting the rain gods of Wimbledon and frankly, drizzling looks messy. So I added it to the compote instead. Wow. No, really. WOW. 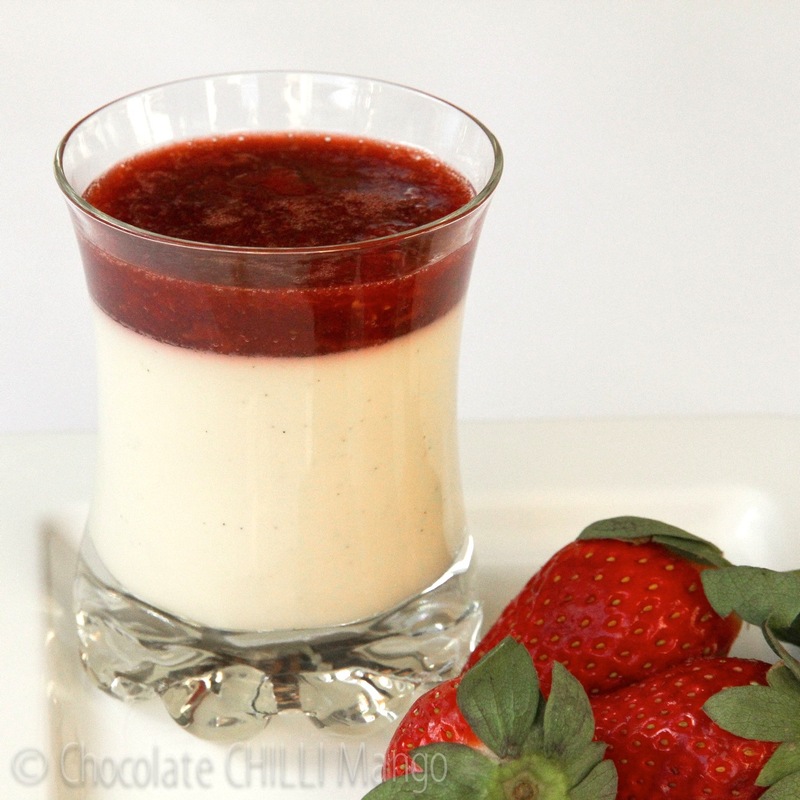 Crème fraîche adds a lovely tang to the panna cotta to lift it above your average panna cotta experience. The little flecks of vanilla beans? That’s just vanilla perfection. You know it. I know it. Place the crème fraîche, cream, sugar, and vanilla into a saucepan over a low heat. Stir until the sugar is dissolved. Soak the gelatine leaves in cold water to cover for a few minutes, until softened (while the cream is on the stove). Bring the cream mixture to the boil, stirring gently. When the cream reaches simmering point, take off the heat. Drain the gelatine and squeeze out any excess water. Add the gelatine to the warm cream mixture and stir until dissolved. Do not pour the cream mixture over the gelatine! 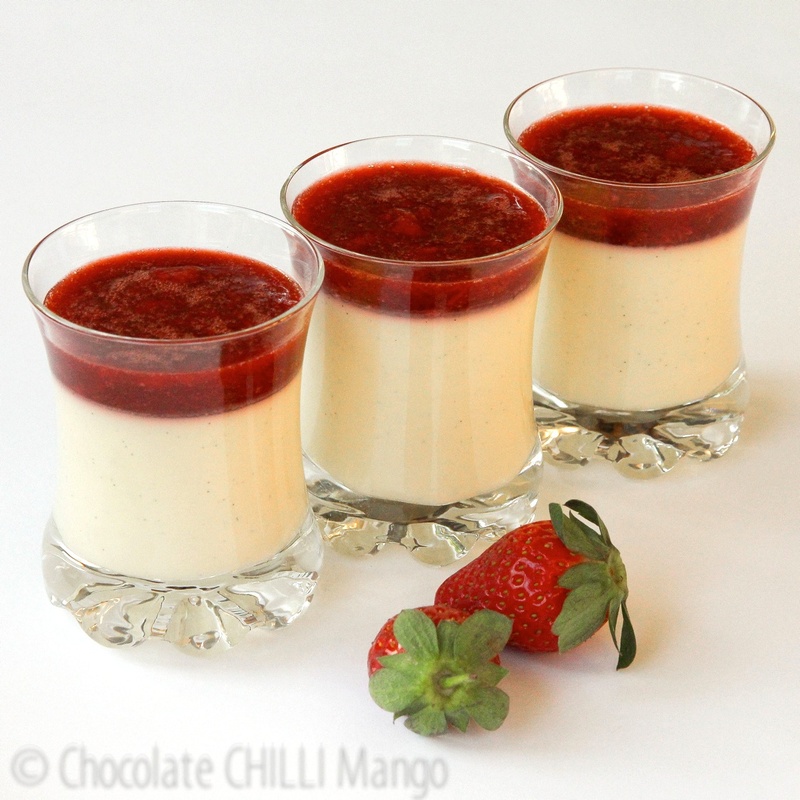 Pour the panna cotta mixture into serving glasses or cups. Cool slightly and refrigerate until set, about 4 to 5 hours. Place the strawberries and sugar into a saucepan over a low heat and stir until the sugar dissolves and the strawberries soften. Soften the gelatine in some cold water while the strawberries cook. Mash the strawberries with a fork and heat for another 2 to 3 minutes. 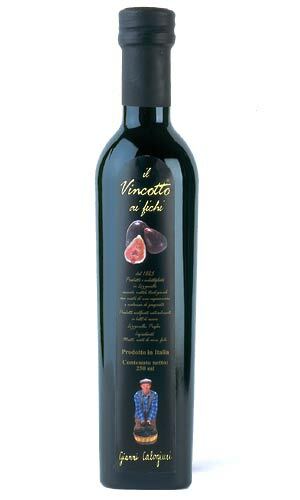 Remove from the heat and stir in the fig vincotto. Drain the gelatine and squeeze out any excess water. Add to the strawberry compote and set aside to cool slightly. 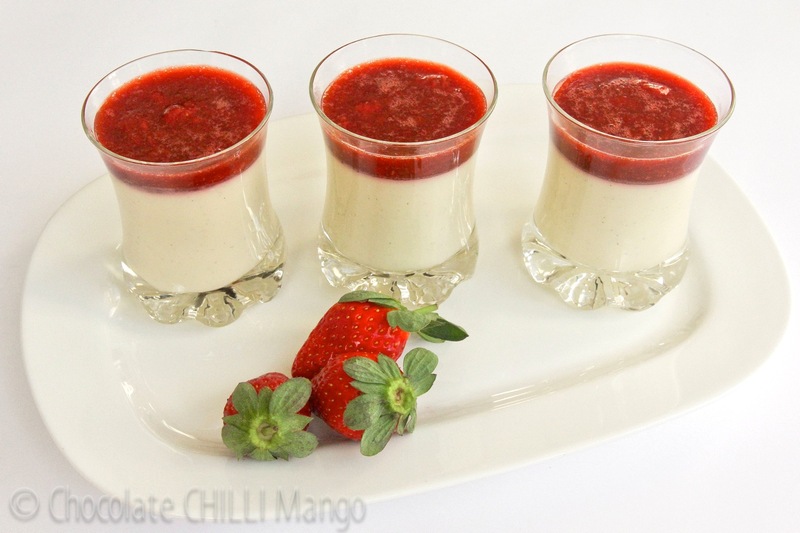 Spoon or pour the compote over the vanilla panna cotta in each glass. Refrigerate until set, at least a few hours, before serving. Before serving, decorate with fresh strawberries and lemon balm or mint sprigs.